Mike Moore | The Journal Gazette Firefighters responded to a house fire in the 5100 block of West Wallen Road on Tuesday. 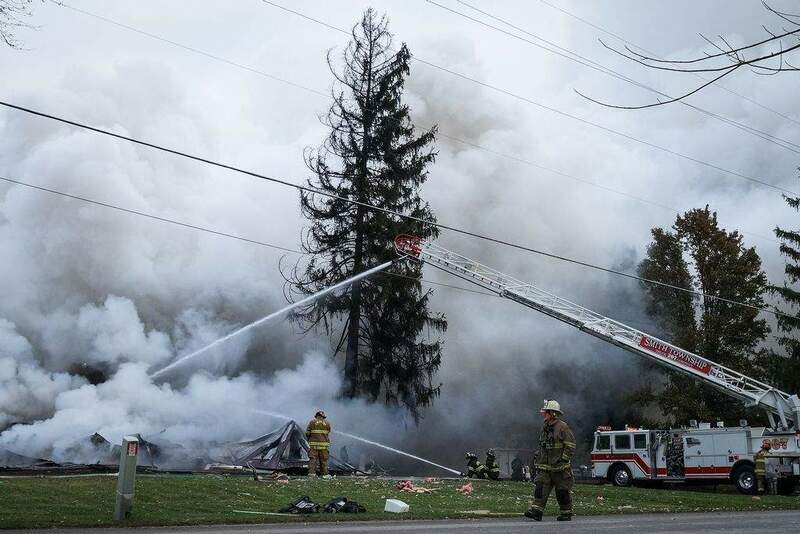 The man found inside a home that exploded in the 5200 block of West Wallen Road early Tuesday morning, has been identified. Nathan L. Sliger, 55, from Fort Wayne was positively identified by the Allen County Coroner after an autopsy. Sliger's cause and manner of death are pending and will be released after additional testing and investigation, the coroner said in a statement.